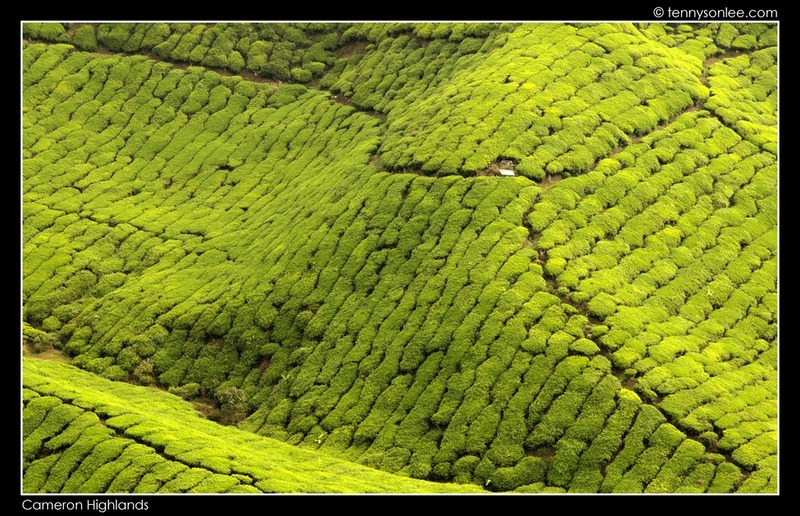 I am yet to visit Darjeeling and Sri Lanka. 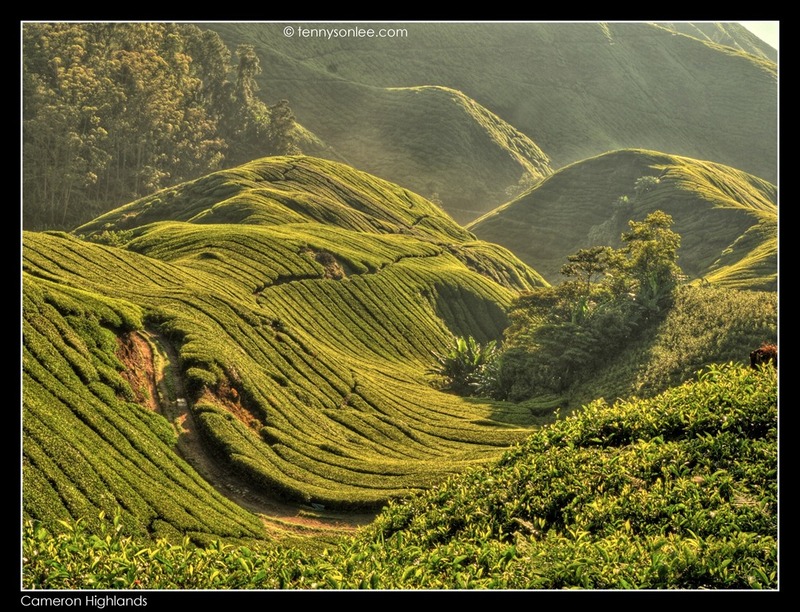 To comfort myself, Malaysia has tea plantation in Sabah and Pahang too. 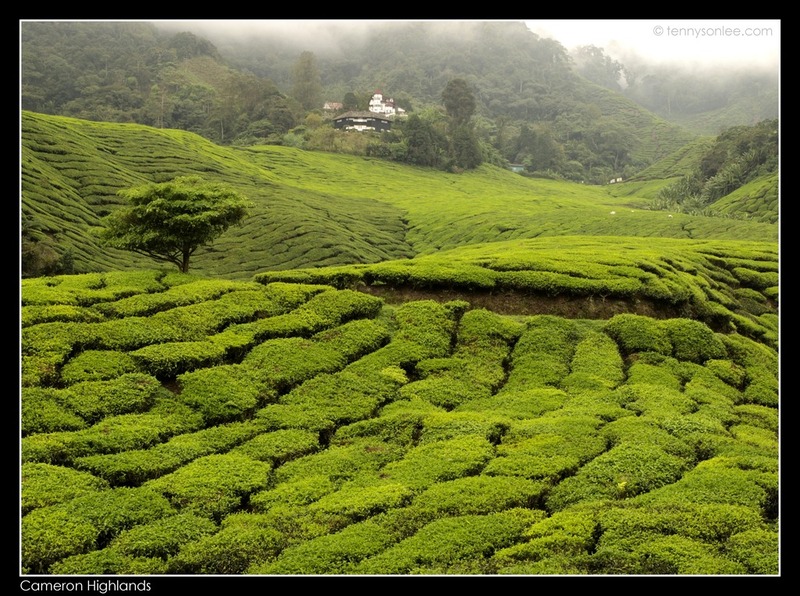 Cameron Highlands is one of the more accessible highlands with great view of tea plantation. 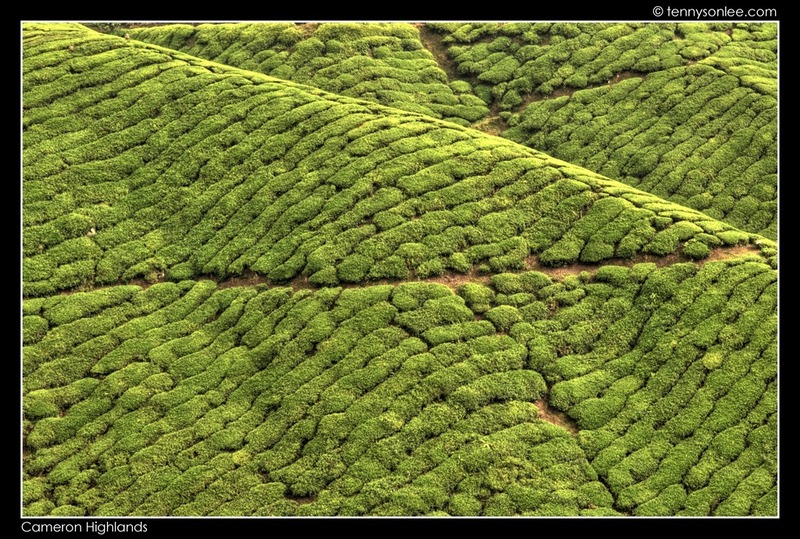 I loved the green and the maze-liked pattern of the hill slopes planted with tea. 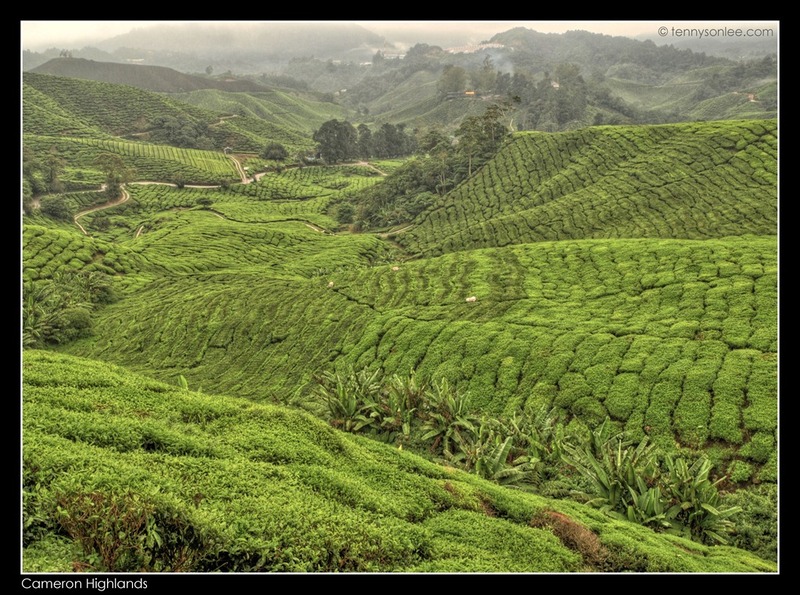 It was relaxing driving up to Sungai Palas (Gunung Brinchang). There were few (slightly) wider spots where visitors can stop by for a panorama view of the valley. I was playing around with multiple exposures for fun. The following image was taken with 12 pictures using HDR and stitched with Microsoft ICE. My car parked on the right side. We took a short walk in the plantation. It was a great morning exercise for city folk like me who sit long hours in front of the computer. The trees changed colour with the presence of sunlight and cloud. The same spot with different lighting condition. On the following morning 7:35am, the weather was cloudy. The first few pictures took 30-40 seconds to compose with very dim light. You can see a few white colour bags on top of the trees. It was where the workers stopped on the day before. Interestingly, the trimmed leaves and buds provides a zebra liked darker stripes on the surface. It was very relaxing gazing at the greenery. Very soothing for the eyes. The residence staying on the hill top can wake up to such a breath taking vista. 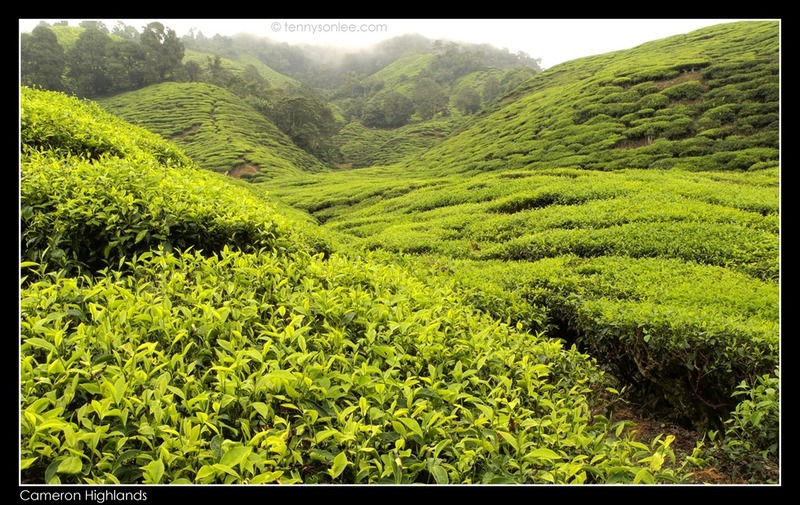 There were 4 or more tea plantations on Cameron Highlands. 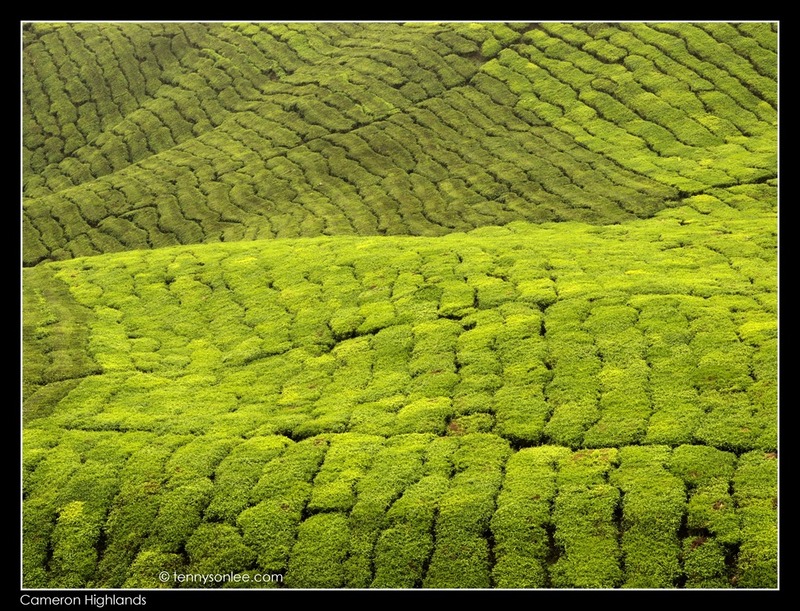 I visited all of them on the previous trips, and personally I think Boh Tea Plantation at Sungai Palas has the better view. If you are an early bird, the best time to visit is before 7am. After sunrise, go up to Gunung Brinchang to see the mossy forest and Telekom tower, then come down to Boh plantation again by 8:30am to have your breakfast. 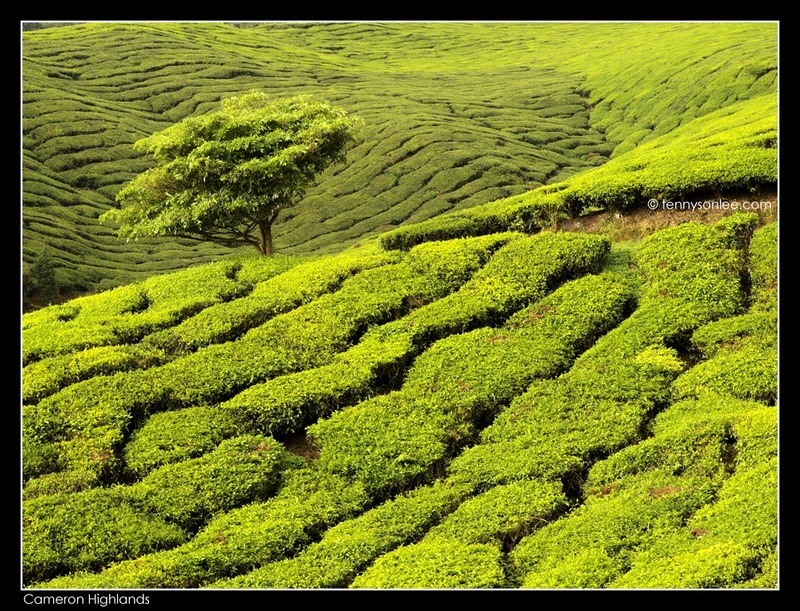 This entry was posted on February 25, 2012 by Tennyson. 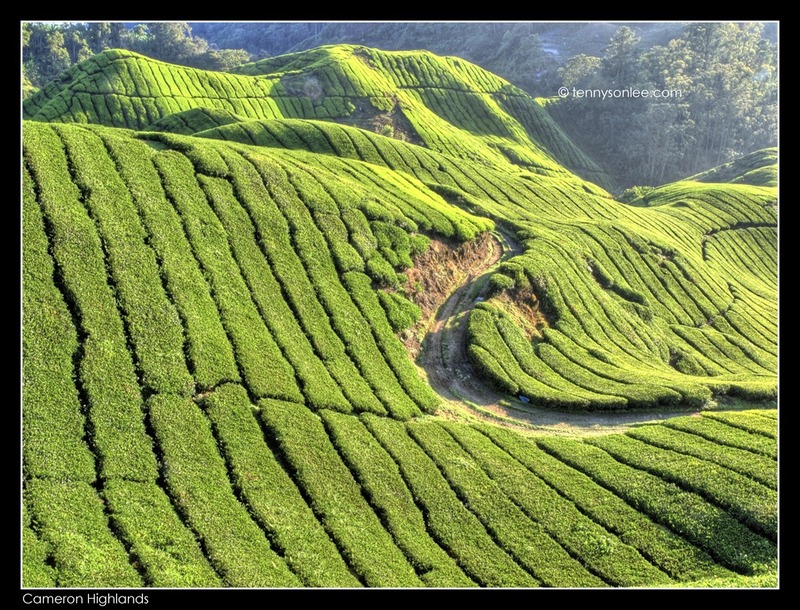 It was filed under Malaysia, Pahang, Places and was tagged with Boh Tea, Cameron Highlands, Sungai Palas, Tea Plantation.